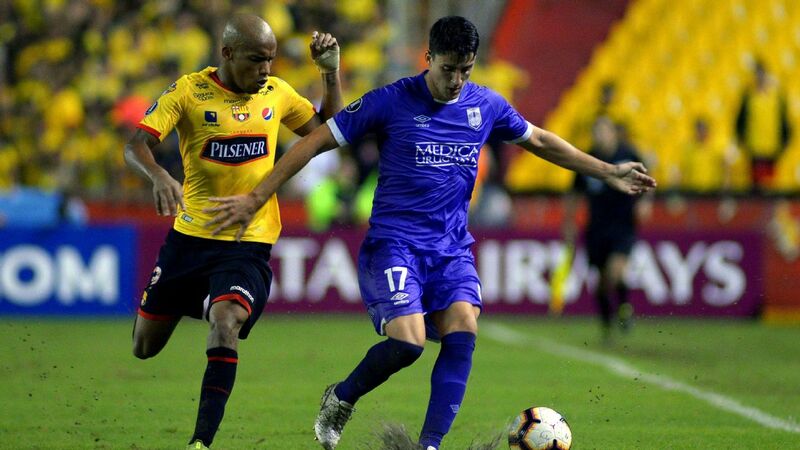 Tuesday's return leg between Barcelona of Ecuador and Defensor of Uruguay was more notable for what happened off the field. Barcelona of Ecuador had three things working against them on Tuesday when they kicked off at home to Defensor of Uruguay in the qualifying round of the Copa Libertadores. One was the torrential rain which had fallen on the city of Guayaquil, making the pitch slow and heavy. Another was the traditional defensive grit and organisation of the Uruguayans. Brian Montenegro opened the scoring for Nacional against Defensor Sporting. It hasn't taken long for South America to get back into the swing of footballing things after the World Cup. The leagues in Brazil, Colombia and Chile have already started up again, and on Tuesday it was time to settle down and enjoy something fans across the continent (especially the south of the continent) had been waiting a couple of months for; the Copa Libertadores semifinals are finally upon us.